Facebook hashtags are not used for highlight the word in blue color but has its own unique URL. 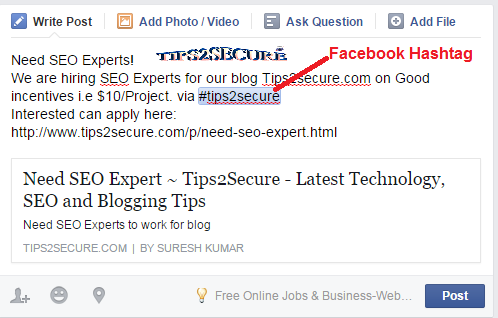 Search for a specific hashtag from your search bar, for example, #tips2secure or type https://www.facebook.com/hashtag/tips2secure into your browser, it will show you the result of hashtag 'tips2secure'. In simple it will show you the list of all posts with same hashtags used by other users on facebook also. Why Am Writing on Pros and Cons of using Facebook Hashtags? 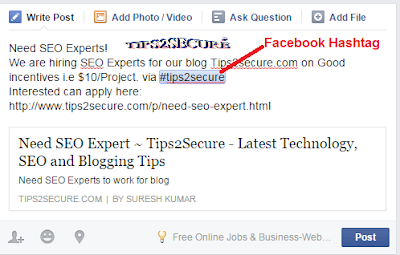 I am writing this post to make aware people about facebook hashtags. Mostly people don't know the exact mean of hashtags but they are unwittingly losing their privacy. I am not asking here to stop using facebook hashtags but should use with some care. After reading this post you will be able to know about advantages and disadvantages of using facebook hashtags. You can use facebook hashtags to advertise yourself to become popular on facebook. 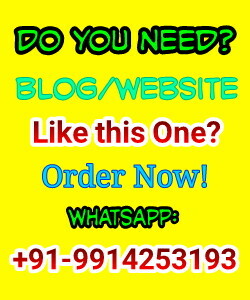 It helps in promoting products on facebook. If you are using hashtags publicly, then it will increase your access worldwide. Very popular among bloggers to promote their blogs and blog post, am also one of them. It helps in categorizing our updates, if we are using facebook hashtags with precautions. It exploits your privacy if you're using hashtags in wrongly manner. It may be the security threat for your facebook profile. It will display your profile publicly anywhere in front of users of any country. It may sometime convert your your personal matters into public matter. Never use Hashtags, if your post is related with personal or family matters. Never use hashtags when you upload your own images. Because it will show in news feed of facebook automatically without using hashtags. If you are going to use hashtags then first change your privacy from public to 'friends only' or 'friends of friends'. If you use hashtags publicly then it will show in front of every unknown users who go through the tag which you've used in your post. Use hashtags publicly if you are making some promotional post, or related with advertising. It will boom audience reach to your post. At last I would like to say the readers of this blog that use facebook hashtags only f you are making posts something related with promotional activities or advertisements. Avoid using hashtags in personal posts for your safety and security. Message: I hope that you have enjoyed 'Advantages and Disadvantages of Using Facebook Hashtags' article. However, if you want me to deliver more articles then please share my post. You can use Social Sharing Widget provided at the end of every post. After all, Sharing is Caring!.